Thicket, aka Thicket Seskin, born March 11, 1993, was imported from Ireland several years ago. She was a very affectionate, tall female weighing about 70 pounds. 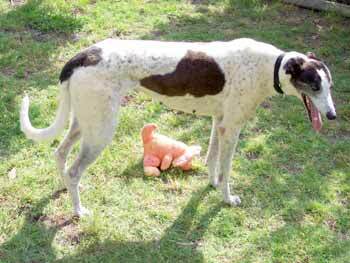 She was very fit, and like most senior greyhounds, had lots of love to give. 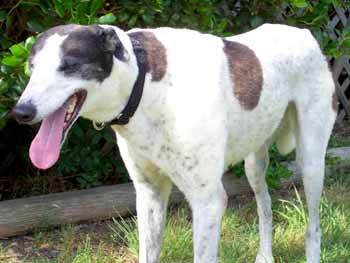 Seniors are the best-kept secret in the greyhound world! You never know what you're missing until you bring one into your life!